“Eczema is not only itchy and uncomfortable, but can lead to bacterial skin infections when affected areas are scratched. There are a number of treatment options available. If you suffer from eczema you should be examined, first to ensure that eczema is actually the problem and second to find a treatment that works for you”. Eczema is a very common skin condition, estimated to affect 1 in 5 people in their lifetime. 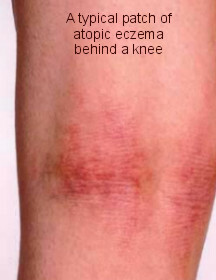 There are numerous types of eczema, with atopic dermatitis being the most common. Atopic dermatitis often begins in childhood, although it can develop later in life. People with atopic dermatitis often have a genetic tendency to the condition. Eczema, hay fever and asthma are all closely linked and can be seen running through families. In atopic eczema, the skin is very dry and itchy. Eczema can be influenced by environmental factors, such as weather, contact irritants and temperature. The skin if often very sensitive to chemicals found in soaps, cleaners and detergents. In acute flares of eczema the skin is red, inflamed, and sometimes blistered and weeping. In adults, eczema most often affects the hands, eyelids, elbow creases and knee creases, but it can occur anywhere on the body. Certain occupations may give rise to a worsening of eczema, due to the fact that the hands are often in contact with chemicals and other irritants. Housekeeping, hairdressing, caregiving, farming and industrial cleaning are all occupations in which high numbers of workers have eczema. atopy- atopy is the genetic tendency to hay fever, asthma and eczema. Atopy is inherited and involves an exaggerated immune response to environmental triggers. skin barrier defect- may experts believe that people with atopic dermatitis have a defect in their skin which allows moisture to leave the skin, rather than be kept within it. There may also be reduced antimicrobial function, or a decreased ability of the skin to fight infection. It’s likely that all three of these theories are correct to some degree and all work in concert in individuals with contact dermatitis. Many people with atopic dermatitis also develop bacterial infection of the affected areas caused by Staphylococcus aureus, which is commonly found on the skin and can invade eczematous patches of skin through scratching. Bacterial infection may worsen symptoms. Treatment for eczema generally involves several components. The most important is to moisturize the skin using emollient lotions or creams. Topical corticosteroids may be used to reduce inflammation; however, they should not be used for long periods of time as they can have adverse effects, including thinning of the skin over time. Antihistamines can be used to reduce itching. These medications cause drowsiness and are most often used at night to promote sleep when itching is severe. Medications that decrease the immune response may also be used for some people with contact dermatitis. 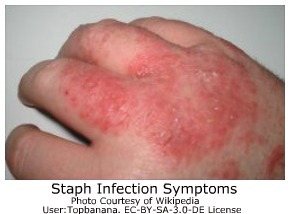 When infection is present, a topical or oral antibiotic may be prescribed. 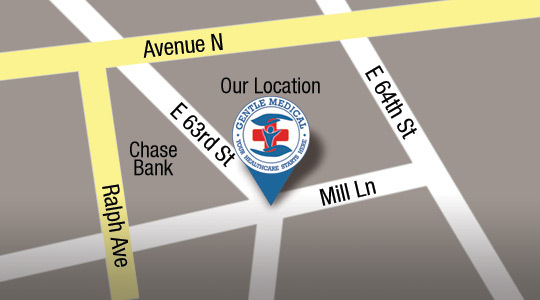 When you come in to see me, I will ask about your medical history, as well as your family history. I’ll want to know if any family members have eczema, asthma or hay fever. I’ll also want to know if you have any known allergies. 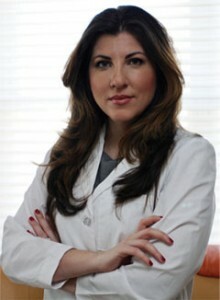 I will ask about your symptoms, when they started and what you have used on your skin. I’ll also ask about possible triggers and your occupation to try to identify anything that might make your eczema worse. I’ll examine the affected area(s) to determine how severe your eczema is and look for signs of infection. Once I have finished my examination, we’ll come up with a treatment plan together. I may prescribe a corticosteroid cream or an antibiotic if necessary. We can discuss any lifestyle factors or environmental factors that may be causing or worsening your eczema. If you have eczema it is best not to ignore it, especially if it your skin is acutely reddened and inflamed. With the right treatment, your symptoms can improve. Make an appointment to see me today. » Considering Medical Treatment For Menopause Symptoms?